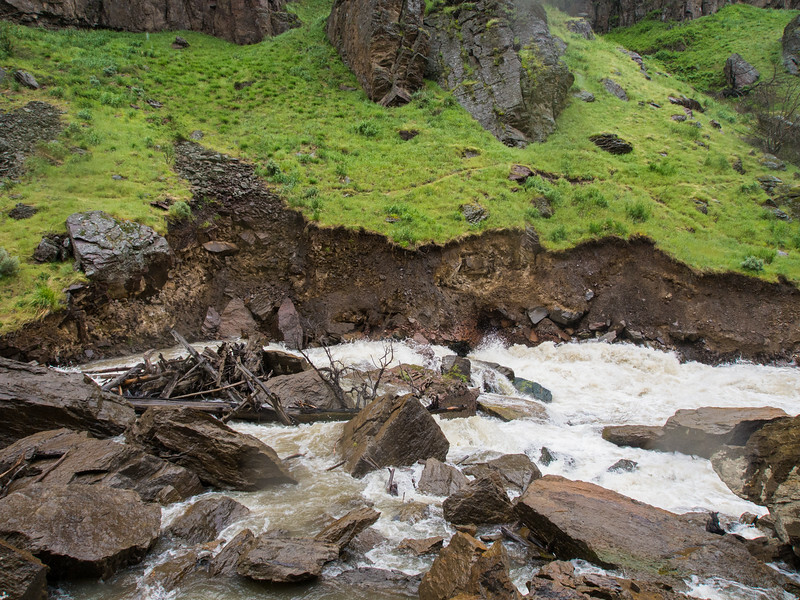 Massive rockslide on river right formed this rapid in 2009. We portaged on river right through huge boulders. Old portage trail looked dangerous as hill side continues to erode there.